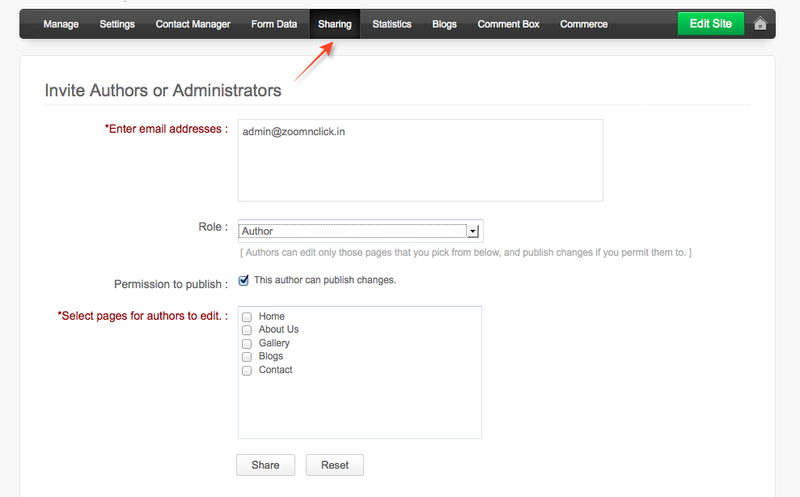 Zoho Sites allows multiple users to collaborate on a website. Administrators can invite other users to a website, and can grant them two levels of access privileges - Authors or Administrators. 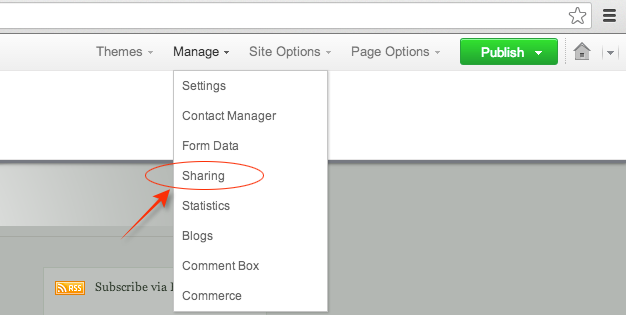 To enable sharing, point your mouse over Manage and choose Sharing from the drop-down menu. Administrators have all the permissions as the owner of the website except that they will not be able to delete the site and create/customize forms. 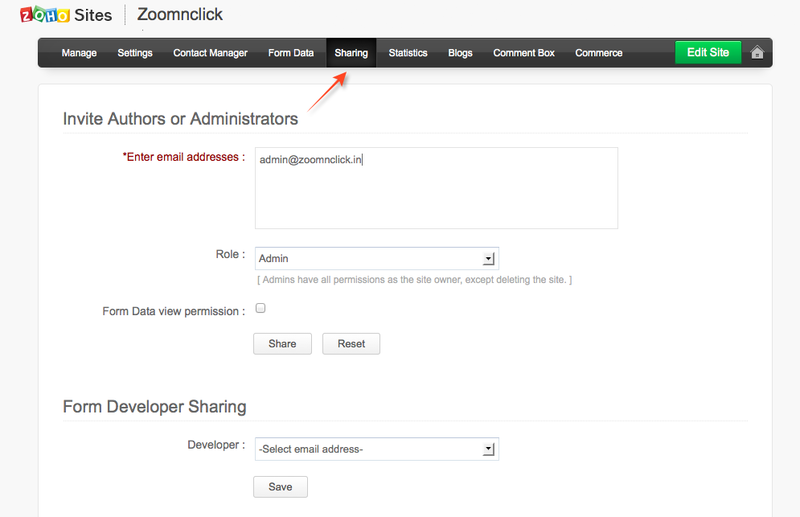 If you want Administrators to be able to customize forms, choose the administrator's email address from the 'Form Developer Sharing' option at the bottom Sharing page and save the settings. To enable form data view permission, enable the check box option 'Form data view permission' before sending out an invite. You can appoint authors to your website, and let them make changes. By default, authors will be able to publish the changes. You need to select from the list of pages, the ones to which you are granting access. 1. Enter the email address of the person you want to share your website with. 2. Select the role from the list. 3. Click on "Share" to send them the invitation email.